Dark Horse's January solicitations are out, and that means another issue of Dark Horse Presents and the third installment of "Integer City" by myself, Brent Schoonover, Jean-Francois Beaulieu, and Crank! 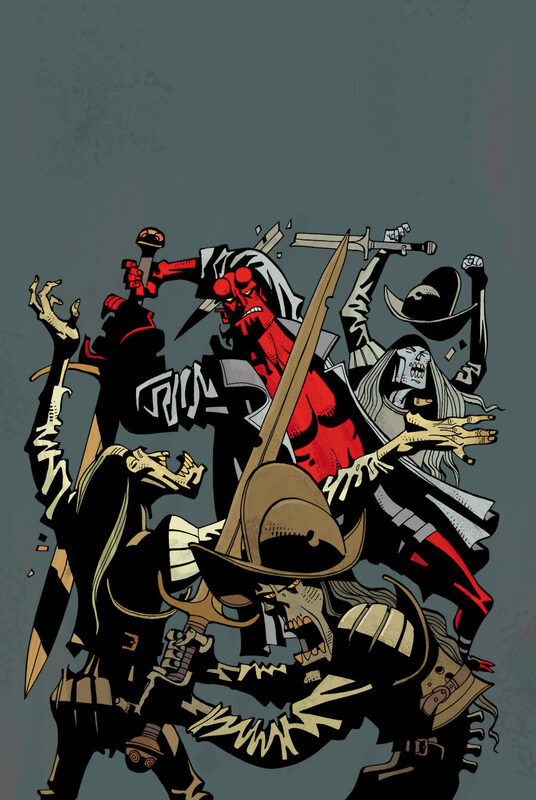 All with another awesome Hellboy cover by Mick McMahon. Delve into a twisted video game tale with Brendan McCarthy and Darrin Grimwood’s The Deleted! Rich Johnston’s Miss Cranbourne returns! Mike Mignola and Mick McMahon reveal the surprise twist in the nuptials when . . . Hellboy gets married! Plus, the long-running DHP serials Alabaster: Boxcar Tales and Nexus: Into the Past reach their thrilling conclusions! And, of course, new installments of Integer City, City of Roses, Monstrous, Kill Me, and Saint George! And whoa, hey...Brendan McCarthy is in this issue, too? !